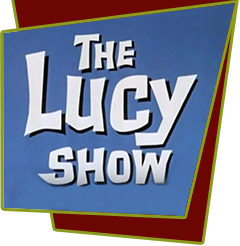 The Lucy Show, Kiddie Parties, Inc.
Lucy and Viv bemoan the rising cost of all the birthday parties they host and their kids attend. They decide they can make a profit by throwing parties themselves. Lucy and Viv decide to open their own children's party business to make some easy money. Unfortunately, everything they plan for their first party goes wrong, until Lucy grabs a handful of helium balloons and floats away. Lucy and Viv end up making a profit of $5 each from their first party. Special Notes: CBS originally broadcast this episode in black and white. The pony's name is Dimples. Bloopers: Lyle Talbot initially introduces himself as Mr. Sanford. In a later scene, he is called Mr. Stanford by Lucille Ball. Strangely, Talbot's character is listed as Mr. Stanford in the credits, but his son's surname is listed as Sanford. In a closeup of Lucy floating with the balloons against a light blue sky, you can see where the wire attaches to the harness she's wearing. At the beginning of the dog act, the pink balloon that Viv accidentally released earlier in the episode drifts back down to the ground.